The Isabella Freedman Jewish Retreat Center is located in the Berkshire Mountains and attracts thousands of visitors each year. For years, this 400-acre sanctuary has been at the center of the Jewish environmental movement. 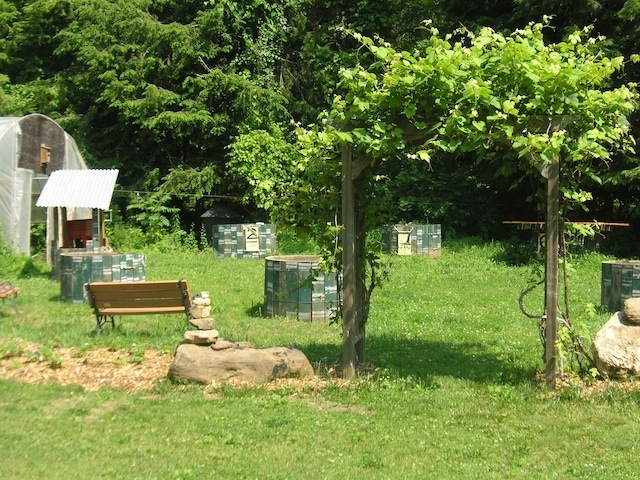 They applied for and received a Gendler Grapevine Project grant to create a model garden where they can connect thousands of adults, families, rabbinical students, camper, staff, and others to an earthy Judaism. They use the garden to get peoples’ hands in the dirt and connect them to the process of growing food sustainably through Jewish concepts such as Shabbat, Shmita, and Blessings. After receiving funding, the project director hired an Adamah alum, who served as the project lead. It should be noted that as an established retreat center, Isabella Freedman benefited from already having staff (such as a field manager and a director of earth-based spirituality) that could help with the design, development, and implementation of the educational garden. The field manager, project director, and project lead set the goals, concepts, and design for the educational garden. This included a conceptual design as well as how the plan would be implemented and how they could use the garden. Isabella Freedman is part of Hazon, which also coordinates the Adamah Fellowship. As a result of this established relationship, Adamah Fellows lent a hand and worked with the project lead to clean up the area, salvage cedar boards, build beds, paint signs, get soil, plant, and purchase a worm bin, among other activities. 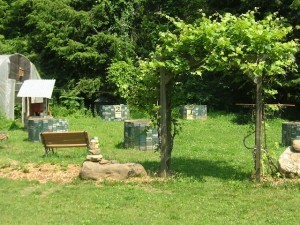 The director of earth-based spirituality made a plot system, so that all the visiting groups would be able to seed, weed, harvest, and work in the beds all season long. She also helped with the Hebrew and curricula, and she trained some staff and fellows how to teach in the garden. She is also in charge of scheduling groups for time in the garden. Below is an outline of what is incorporated in their educational garden. Key lessons they learned include: having visual and conceptual simplicity and clarity (e.g., their use of the number seven, raised circular beds); using meaningful Jewish terms rather than Hebrew translations (e.g., “sheaf” for harvesting, “mechaye metim” for worm composting, “bracha” for giving thanks); and providing a plan for every group to be able to do all seven steps in the process, from composting to seeding to giving thanks. The Isabella Freedman Jewish Retreat Center envisions the garden as being a model and inspiration for others. 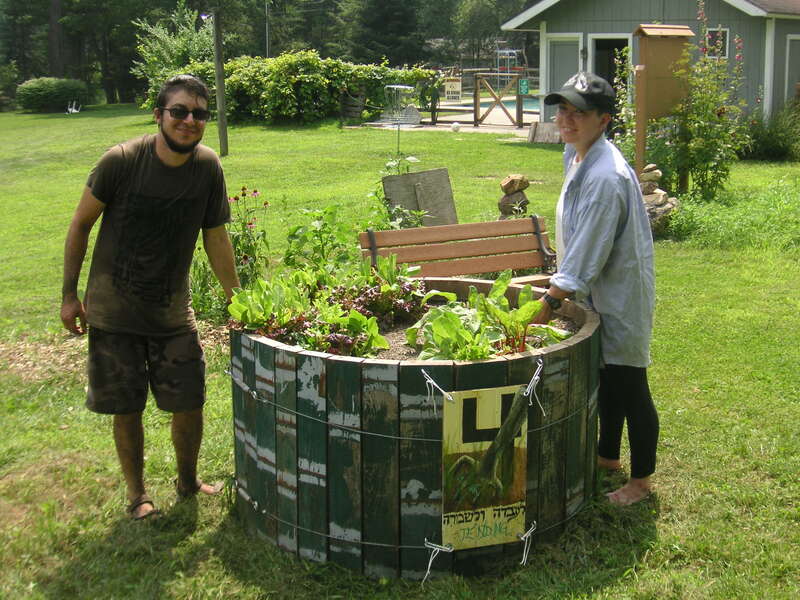 With thousands of visitors every year, they will include trainings and discussions on how to replicate Jewish gardening education at other sites.